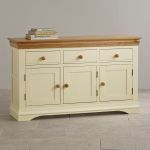 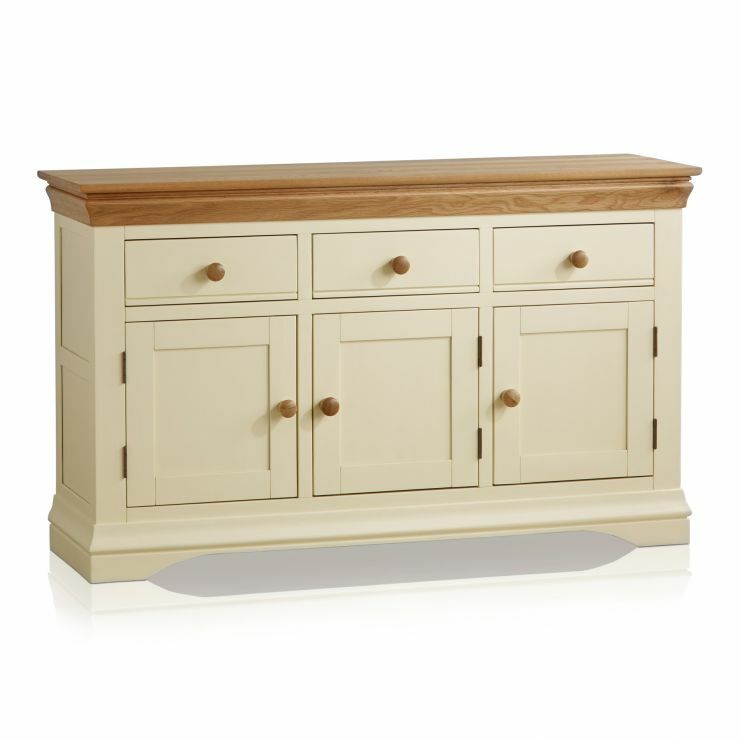 Representing our contemporary take on a classic French design, the Country Cottage Natural Oak and Painted Large Sideboard exudes charm with its cream painted finish and natural oak tops. 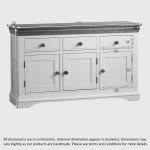 Crafted from premium grade solid hardwood, it's defined by the collection's trademark features: elegantly flared cornices, curved feet and oak button handles. Perfect for the kitchen, dining room or living room, the sideboard offers plentiful storage space with three deep drawers and two large split-level cupboards. 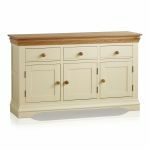 As is standard at Oak Furniture Land, each drawer is made using traditional dovetail joints with wooden runners. 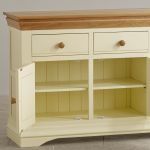 Check out the rest of the Country Cottage Natural Oak and Painted range to discover items of painted furniture for every room in your home.